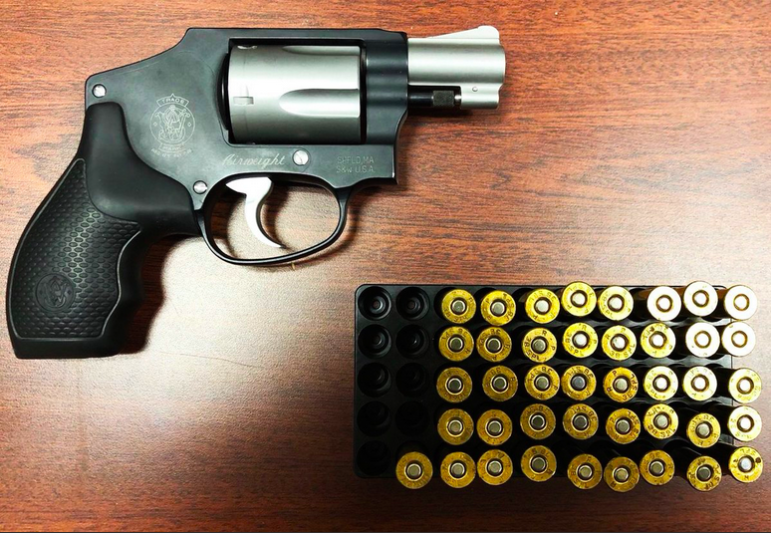 This revolver was recovered in the 67th Precinct in Brooklyn, according to a June 4 Twitter post by the NYPD. The gun above was not supposed to be in Brooklyn. Yet there it was, according to the NYPD, in the 67th Precinct, in spite of strict city laws that all but ban handguns. Its seizure testifies to the complex problem of further reducing gun violence in New York. The state has strict gun laws but illegal guns get in anyway, many of them from states with much looser restrictions. And now a federal move toward concealed carry reciprocity could introduce far more (ostensibly “legal”) guns into the city. Meanwhile, the NYPD has some success at seizing guns, but it can be dangerous work, getting convictions can be difficult, and the goal of interdicting firearms can be used to justify problematic strategies like stop, question and frisk. Those challenges, and the persistence of gun violence in the city—there have been 306 shooting victims so far in 2018, identical to the year-to-date total in 2017—have led policymakers and advocates to look for new ways to combat gun violence, from specialized gun courts to a “cure violence” model that applies a public-health lens to reducing violence of all kinds. City Limits and The Crime Report will explore all these angles and more this Thursday, June 7, from 4 to 6 p.m. at John Jay College with a two-panel mini-conference called “New Yorkers Under the Gun” and featuring Manhattan District Attorney Cyrus Vance, Director of the Mayor’s Office of Criminal Justice Liz Glazer, Detectives’ Endowment Association President Michael Palladino, Citizens Crime Commission President Richard Aborn, Nicholas Suplina of Everytown for Gun Safety and Mary Mitchell Community Center Executive Director Heidi Hynes. Seats are in short supply but you can still register here. You can also watch the event live below. While much of today’s public discourse on guns is focused on school shootings, advocates say there’s still plenty of work to be done when it comes to urban gun violence that’s less headline-grabbing.